Mercia 7.5 x 9.10ft Premier Apex Metal Storage Shed Zinc: The Mercia 7.5 x 9.10ft metal shed provides a large and secure space to store all your garden tools and equipment in this sturdy design. 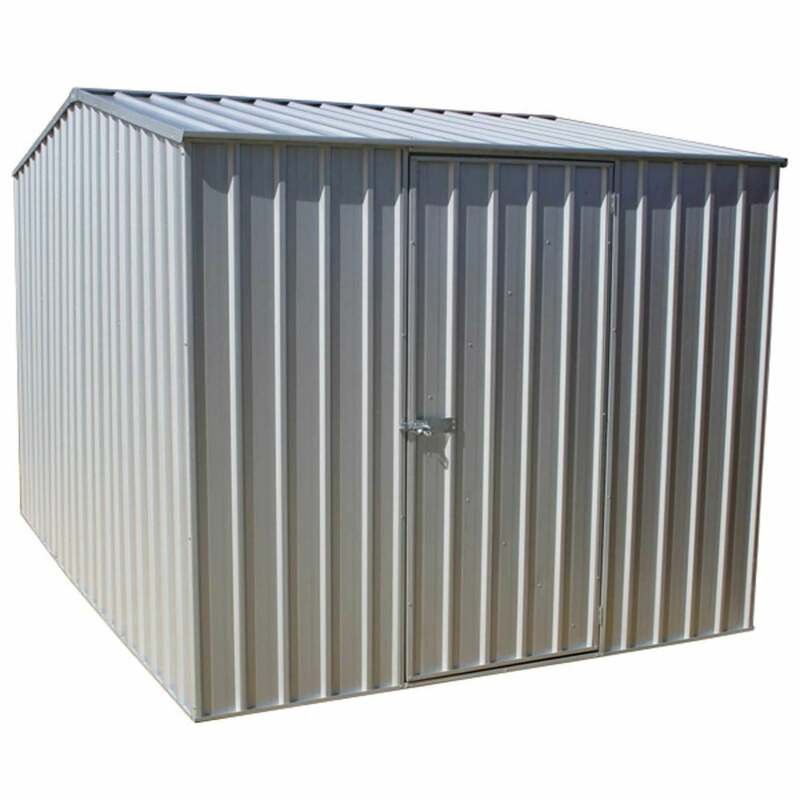 This resilient, fire retardant metal apex shed is constructed using BlueScope steel panels and are coated with a titanium finish for long lasting finish and hassle-free maintenance. The Mercia storage shed comes in a classic apex design to allow rainwater to runoff, it is also equipped with a pad-bolt for extra security when not in use and a wide braced door for easy access when moving items.